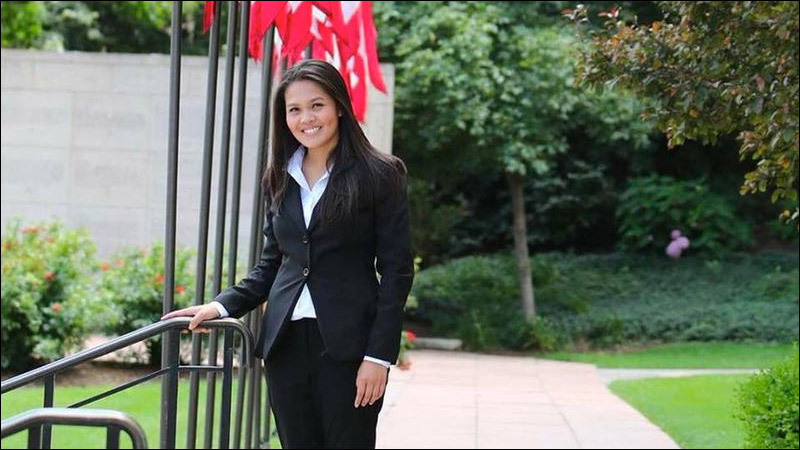 Tina Maharath is the first Lao American state senator in the United States. Another close race, another historic election win. On Tuesday in Ohio, Democratic candidate Tina Maharath was officially declared the winner over state Rep. Anne Gonzalez in the State Senate race for District 3. Maharath's victory not only makes her Ohio's first Asian American state senator and first Asian American woman in the general assembly, she is the first Lao American state senator in the United States. She was, by most accounts, a political underdog. Maharath, a 27-year-old financial analyst with no prior campaign experience, was up against a veteran Republican lawmaker for a GOP-held Senate seat. But after all the provisional and absentee ballots were counted, Maharath edged out Gonzalez by just 705 votes. We definitely shattered TONS of glass ceilings with this race. -I am Ohio’s first Asian-American state senator. On top of all that, Maharath won with basically no support from her party. The Ohio Democratic Party and Franklin County Democrats refused to endorse Maharath and didn't contribute any money to her campaign, which ultimately only raised a fraction of the funds raised by Gonzalez. Maharath says she raised support and awareness the old fashioned way: friends, family, word-of-mouth and knocking on doors. Meanwhile, her Republican opponents reportedly spent somewhere in the ballpark of $1 million on a deluge of attack ads highlighting personal issues in Maharath's past. Clearly, it was not cash well spent. Maharath calls the ads a waste of money, and says she might have actually benefited from the smear campaign. "I guess it was also a positive perspective for me because I gained some audience perspective out of it," Maharath tells WOSU Radio. "They reached out to me to get the real story." Maharath, the daughter of refugees from Laos, says that, as senator, she plans to push for expanding Ohio's anti-discrimination laws to include lesbian, gay, bisexual, transgender, questioning or queer people. She also intends to seek the creation of a state commission for Asian Americans.